Hailed by many as the next great superhero film or the reinvention of the genre LOGAN is in fact no such thing. 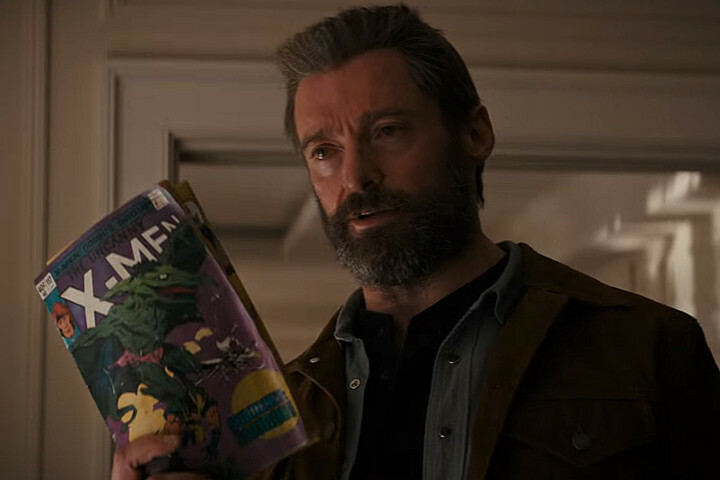 Set in an alternate reality from any of the previous Wolverine and XMen films, Logan is best taken as a Marvel Elseworlds story - this is a might be what happened tale as opposed to a this is the next chapter. If you need any proof lets start with the film acknowledges comic adventures and has other continuity details that don't line up with earlier films. ... however coming out of the screening I found I liked the film but was very disappointed. It wasn't remotely what the reviews had made it out to be (not that they ever should be). The film isn't a grand reinvention or rethinking. The film is simply the same old story that we've seen in a variety of versions in ten or so other X films stripped down. It's a good film but nowhere near a great one. 4-...X-24. Really? How many times has a hero fought another version of himself? In comics? In films? And this is considered groundbreaking? No, not even close. I would have accepted it if it wasn't Logan's twin. The twin bit was way too much and I broke with the film at that point.Its a profound stupid (and a certain "r" word) that completely wrecks any notion of the film being profound. X-24 single handedly removes the film's chance of even being called groundbreaking when its a twist so over used anyone using it in any form should have to go to prison. I could go on with other problems but it's not worth it. And I need to restate- this isn't a bad film, just not nowhere near a great one. Definitely worth a look but beyond that... you're on your own. The hell with "great". So tired of "great". Eveyone uses that silly word "great. Endlessly. There are actually only a few "great" films since 1915. The over emphasis of "great" completely leaches any real meaning from the word. All LOGAN has to be is ENTERTAINING. Period.